The manhunt for a suspect wanted in the Wednesday killing of a Dickson County, TN, sheriff's deputy came to an end Friday morning when Steven Wiggins was apprehended by law enforcement in Hickman County. 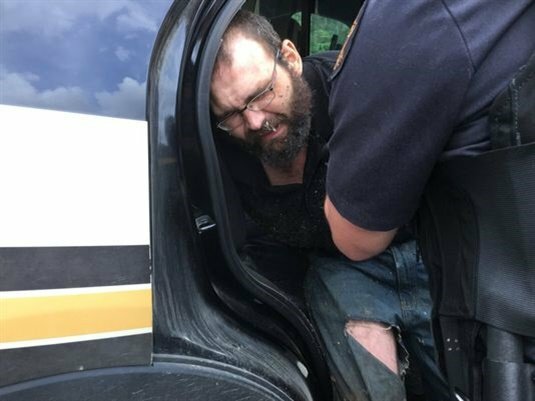 Wiggins was found on Pumpkin Branch Road, not far from the incident, by a Tennessee Highway Patrol trooper, Hickman County Sheriff Randal Ward told the Tennessean. "From my understanding he was laying on the side of the road," Ward said. Wiggins, 31, was wanted in connection with the shooting death of 32-year-old Dickson County Sheriff's Office Sgt. Daniel Baker, who was found dead in his vehicle Wednesday morning after responding to a call about a suspicious vehicle.